Eureka! 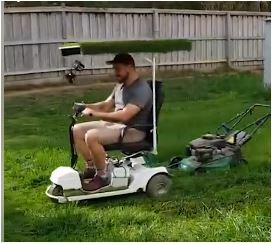 If I buy one and carefully remove the lawnmower, I think it could be used to help people with mobility issues. I don’t know where ideas like this come from; call it a gift.